The physical PlayStation 4 version of Rockman Classics Collection 2 charted at #8 in Japan. According to Media Create sales figures, the game sold 8,537 copies between August 10th and August 13th. Mind you, that's only three days worth of data from Media Create's August 7-13th chart. By comparison, the Nintendo 3DS version of RCC1 (the only physical SKU available in the region) charted at #2 in its first three days of launch. Going by Famitsu's numbers – which include data pulled from additional retailers – RCC2 PS4 moved 9,370 units. In all that's about 40% to 60% of its initial shipment (roughly 15,000 units). I have no data on the physical Xbox One version. It looks like it didn't chart (that was expected). So looking at all of this, I don't expect any meaningful growth in week two. But again, these are numbers based on the physical version. Maybe things are a bit brighter on the digital front. Unless a significant milestone is reached, Capcom rarely disclose digital sales figures. Either way I think it's safe to say, despite charting low, the game is moving in-tune to Capcom's expectations. People are tired. Tired of Mega Man. Now is the time for Capcom to make a Protoman game -- or, better still, a Roll game! Nyeh heh heh heh. I'd honestly be okay with either of those. A game for Roll would be pretty neat. People are tired of the same games over and over. When did we see a new Megaman game lately? 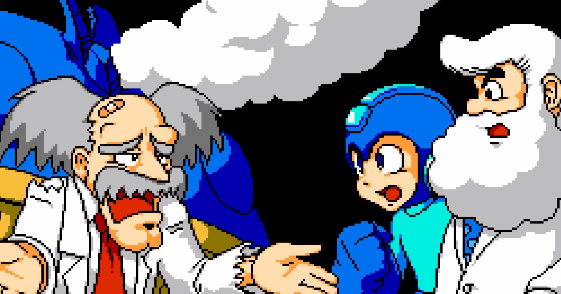 Capcom just lost the chance to make something good with Megaman and now, no one wants him anymore. Good job, Capcom. What comes next? Ghouls and Goblins? Gargoyles Quest / Demon's Crest? This company is nowadays just a mere joke for their mediocre games and low-warm resold games. Still charting within the top 10 isn't bad to be honest, hopefully the digital sales are a little higher. I may as well say this now because i know it's going to come up but it would have sold more in Japan on portable systems either through this rumored 3DS version or the Switch, especially since Switch is currently the new hot product, people are always looking for new games to play on their Switches + a lot of people associate classic Mega Man/Rockman with Nintendo. I'm hoping Capcom do put a bundle of Legacy collection 1+2 on Switch down the line would be great to play them all on the go with a proper controller option. What possible expectations could there have been for a collection like this? Because there really shouldn't have been much. Not very good numbers, maybe the lack of 3DS version is hurting the game, let's hope it does well in the west.